Running boasts many health benefits, but also comes with a downside: it can be extremely hard on your lower extremities, and your ankles are no exception. The ankles assume a big responsibility. The joint carries around the weight of your entire body while walking, running, jumping, or performing any standing movement—more than other weight-bearing joints, like your knees and hips. For these reasons (and some more), don’t be surprised if you experience ankle soreness or pain while running. Made up a grouping of bones, ligaments, and tendons, the ankle is a complex body part that forms the link between your body and the ground. Injury or conditions that afflict any of these ankle structures may result in pain. Most ankle pains sustained while running are either acute injuries, such an ankle sprain, or more of a repetitive-use ailment such as Achilles tendinitis. Let’s delve a bit deeper into the main causes of ankle pain during and/or after running. If you experience pain above your ankle bone, especially following a misstep, twisting, or rolling of the joint, then blame it on an ankle sprain. The condition is an injury of one or more of the ligaments that make up the ankle joint. It’s usually caused by running on an uneven surface, stepping off a curb, or simply landing awkwardly. In some cases, you feel or hear a ‘pop’ followed by sharp pain. An ankle sprain can also result in swelling—the joint will get visibly enlarged soon after getting injured. Although it’s a drag, ankle sprains are one of the easiest conditions to can recover from. Typically, a sprain will heal in a few weeks, even days with proper rest and treatment. 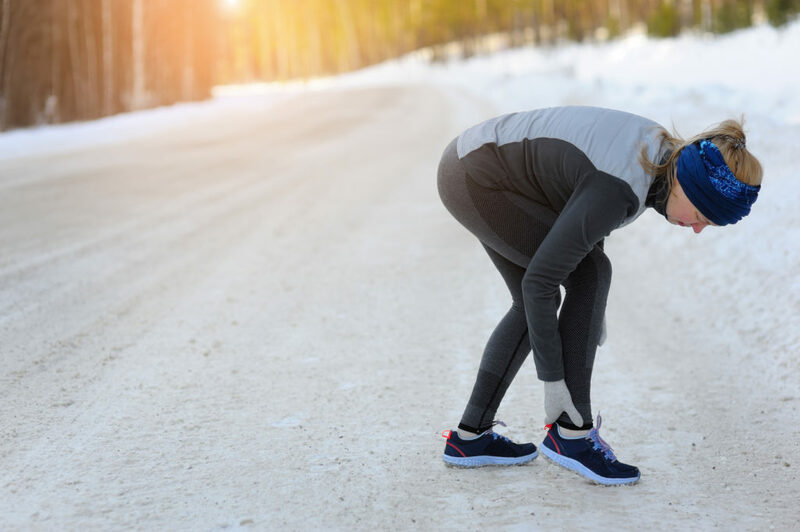 To treat it, opt for the RICE method—rest, ice, compress, and elevate—and in cases of acute pain, take anti-inflammatories for 24 to 48 hours post-injury. Once you can put the entire of your body weight on the injured limb and perform several ankle movements pain-free, then (slowly) resume training. Seek medical care in case pain and swelling persist beyond a week. 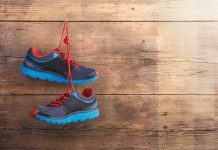 If you feel pain during the first few minutes of your run, subsidies, then returns after your running, then you could have Achilles tendinitis. This condition is an irritation of a large tendon commonly referred to as the Achilles tendon, which is located at the back of your ankle. This tendon connects the gastrocnemius and the soleus, two key running muscles, to the heel. Some of the main symptoms of Achilles tendinitis include tenderness, stiffness, and more often mild or severe pain in the back of the ankle and calf. The condition is caused by overuse, ill-fitting shoes, improper fit, or running in one direction on the track. Decreasing training intensity or stopping altogether. Self-care such as elevation and or compression. You could have a stress fracture if your ankle is tender or bruised, and you’re entirely unable to run on it. Another overuse-induced injury, stress fractures manifest as small cracks in the anklebones. When you place too much force on a bone, the latter might not be able to take any more. This usually happens when your muscles can no absorb the impact stress, resulting in the muscles transferring the stress to the bones, causing a crack. The condition is typically accompanied by redness, swelling, or loss of feeling in the toes. Seek professional treatment if you suspect a stress fracture. Having a bad history of the condition can also set the stage for arthritis later in life. Here’s your complete guide to treating and preventing stress fractures. Also known as the carpal tunnel syndrome of the ankle, this condition occurs when the ligaments and the other tissues in the foot compress, placing undue pressure on the posterior tibial nerve. This nerve is found near your ankle, and it branches out off of the sciatic nerve. Tarsal Tunnel Syndrome often results in a burning or aching numb or pain or tingling sensation on the ankle, heel, sole of the foot, and toes. These sensations are usually felt on the inside of the ankle and on the bottom of the foot. Some of the main culprits behind the injury include tendon swelling, foot pronation, and arthritis. Again, treatment depends on the severity of tarsal tunnel syndrome. Nonsurgical options include rest, ice therapy, and taking nonsteroidal anti-inflammatory drugs (NSAIDs), such as ibuprofen. But, if pain persists, you should seek medical assistance. In some cases, surgery is required. The best way for treating ankle pain—or any other sort of pain for that matter—is to avoid it in the first place. Though it often comes with the territory in a high impact sport like running, there’s a lot you can do in the way of prevention. The above ankle pain guidelines should get you started on the right foot—no pun intended. How to prevent knee pain. Is running bad for your knees and joints?